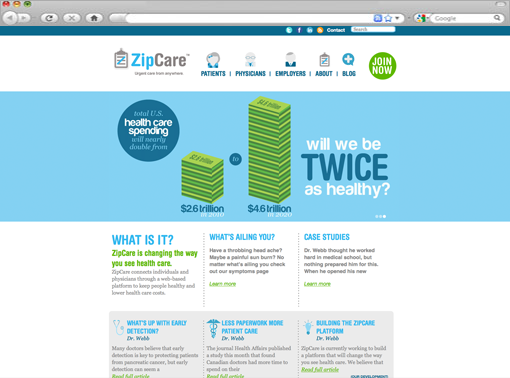 We created this marketing site for ZipCare, an exciting new product that will change the future of health care. Because the product is still in development, we based the content of the site around interesting blog posts that cover medical news, common ailments, and the development process. We are currently working with Door3 to design and develop the user interface of the product itself. We wanted to create a design that challenged the cold clinical feel associated with health care design. We created imagery and typography that conveyed the approachable nature of the company, and the simplicity of their future product.